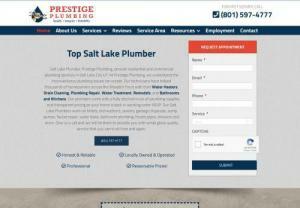 Prestige Plumbing is a residential and commercial plumber serving the Wasatch Front. At Prestige Plumbing, we understand the inconvenience plumbing issues can create. Give us a call and we will be there to provide you with white glove quality service that you can trust time and again. The Water Guys is a water treatment company focused on providing the communities and businesses of Florida with safe and clean water. City, well or drinking water. It is our priority to make sure that you and your loved ones are get pure, clean water. Servicing the Edmonton & Surrounding area since 2006. Red Seal Journeyman Plumber, heating and gas fitters, we know how to make it right the first time. Edmonton, Leduc, Sherwood Park, Strathcona County, St Albert and Spruce Grove We provide fast and efficient service 24/hrs a day. Got a plumbing or gas leak? Give us a call or visit our website. 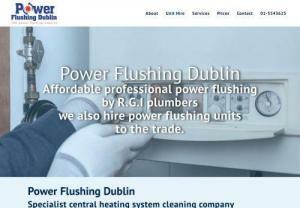 Power Flushing Dublin are recognized as Ireland's leading specialist central heating system cleaning company. There are many benefits to having a your central heating system cleaned and it's definitely worth considering if you are suffering cold spots in your radiators and continuously bleeding them. 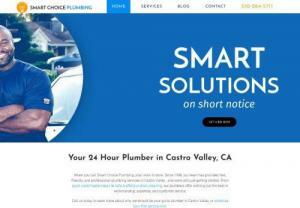 Smart Choice Plumbing offers fast, dependable service to the San Francisco South Bay and East Bay. We are fully licensed, five star rated, and ready to help 24/7. Stephens Plumbing & Heating offers plumbing repair and installation services such as drain cleaning, water line repair, water heater installation, and plumbing fixture replacement. We're based in Bournemouth and provide providing plumbing, heating and gas boiler repair, installation & replacement services across Bournemouth and Poole, including Christchurch, New Milton, Ringwood, Broadstone, Ferndown and Wimborne. We are Gas Safe registered and have been approved by Trading Standards Buy with Confidence Scheme. Pumps 2 you authorise suppliers for Grundfos Pumps. Browse all Grundfos Pressure Pump, Grundfos Submersible Pump, Grundfos BoreHole Pumps, Grundfos Hot Water Circulating Pumps, Grundfos Pressure Tanks, Grundfos Fire Warrior, Grundfos Sololift & Liftaway and Grundfos Vertical Multistage Pumps. Fast, Affordable Plumbing and Drain Cleaning Service Provider Los angeles and Orange county. C&M Mechanical are leading commercial plumbers and heating engineers in Leicestershire. What Is The Importance Of The Sanding And Polishing Of Your Floors? 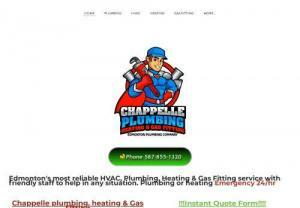 Campbell's Plumbing is located in Port Republic Maryland. 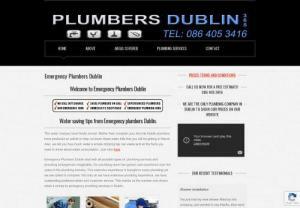 We provide plumbing services for residential plumbing, commercial plumbing, new construction plumbing and all service plumbing. Myers Plumbing and Septic 2 is the leading plumbing company in Jonesboro, Georgia, that offers septic plumbing, water heater services. To learn more about the services offered here visit our site now. My name is Mark Bridle and I have 38 years of experience of unblocking drains! I am happy to provide a free estimate and I believe honesty and integrity in my line of work is vital. I regularly come across customers who have been severely overcharged or persuaded into unnecessary works. We specialise in plumbing and heating installations and servicing in South Shields and across the North East. Whether it's a full Bathroom Installation, Boiler Installation, Baxi Installer, Power Flushing or you require a landlord safety check, Flame On are proud to offer a complete service with no middle men, making it hassle free. Best Plumbing Adelaide is one of the leading plumbing Adelaide company, provide the several plumbing services just like Leakage of pipe, heater problem blocked drains Adelaide service. We have carried out dozens, of the issues at any time not even calculated the total distance of the solved the issues. Ultimate Solution for sewer line Repair Service issues In Residential and Commercial Properties At A-General plumbing and sewer Service Company, no job is too big, or too small for us. From resolving some of the largest sewer line issues to replacing your kitchen faucets, we undertake all jobs related to residential and commercial plumbing problems. Stuart Scott Plumbing is very professional in the unblocking your drainage systems and to help you in maintaining of your drainage infrastructure. We respond to emergency calls from homes and businesses and to major infrastructure project management. We have been delivering quality plumbing services to the inner Northern suburbs of Melbourne Australia.